Kim’s first fantasy story (stop sniggering at the back) came out today. 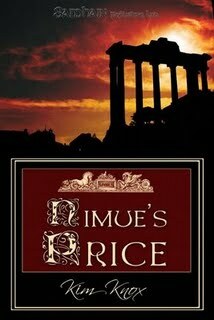 I read Nimue’s Price a few months ago before it went to be editor and really, really enjoyed it. If you like your fantasy with a twist or your Camelot a little unexpected I’d recommend it. In fact even if you like your fantasy straight and your Camelot straight out of Le Morte d’Arthur give it a go. You know you want to really. You can buy it now from My Book Store and More for around $2.50 .